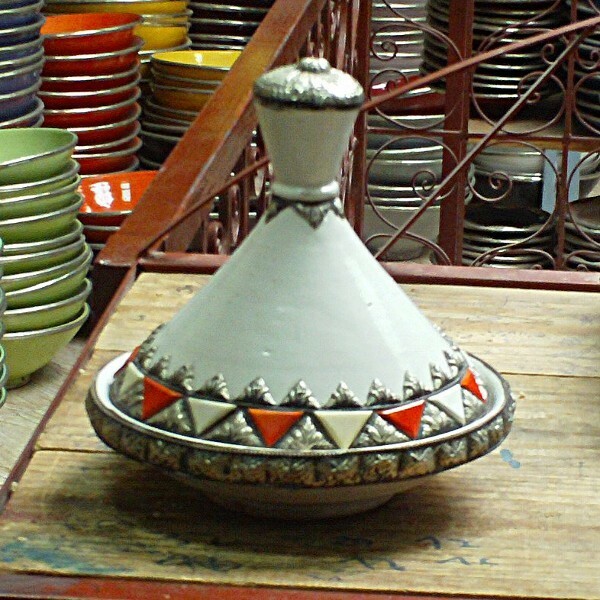 White Metal & Ceramic Moroccan Tagine hand made in Morocco. A nice idea of gift ! 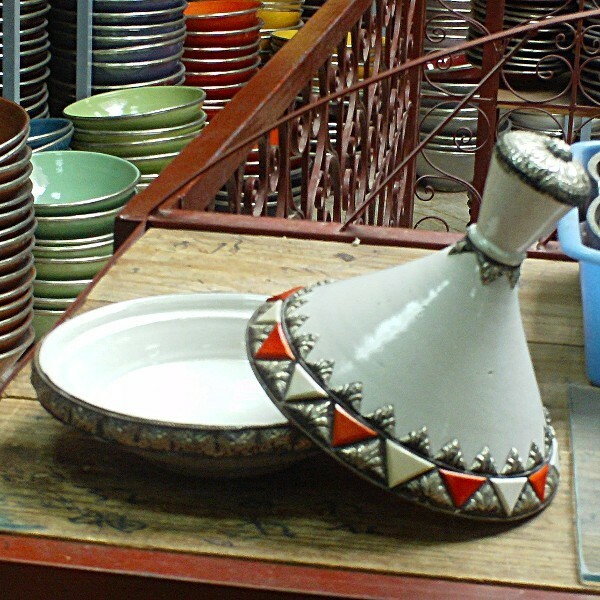 Used exclusively for Home Decoration. Not use for cooking.